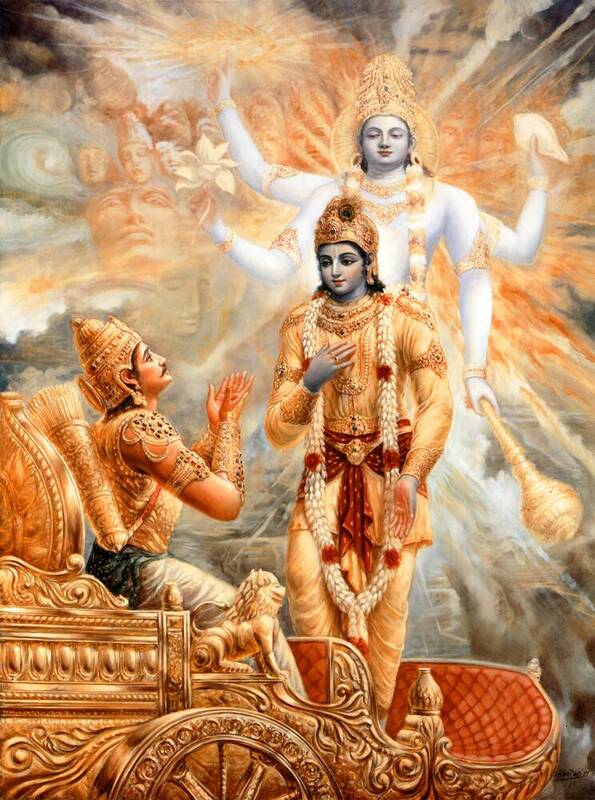 Stunning painting of Krishna revealing His four-armed form to Arjuna. This occurred when Krishna was speaking the Bhagavad Gita to His friend Arjuna. Arjuna is seated on his chariot and he is praying to Krishna, asking Him to show His original two armed form. This two armed form of Krishna is the form that Arjuna really wants to see.